I’m a dreamer. Not just the daydreaming kind, but I dream almost every night, in color, and mostly about old fears, or some problem I’m thinking about. Last year, I was on a kick about how I’m out performing as a singer (something I did for many years) and my mike goes dead. That actually happens more than you think: A roomful of people are watching you, and a fuse in your sound mixer blows. Or your mike goes silent. 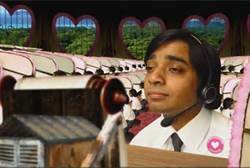 It always drove me nuts, because you have to look at the audience and say, “Uh…we’ll be right back after a short break” and pray to the gods that you can fix it in 20 minutes. I still dream about those nights. Back when I was in the music business, you had to know more than just how to play your instrument, you had to know how to fix the sound mixer. Of course, there is the time I fell asleep after watching all 1,349 movies made about Jason, but we won’t talk about that dream. Sometimes, more than often, it’s about school. Sometimes, I am late to class, can’t remember my locker number, don’t know where my next room is. 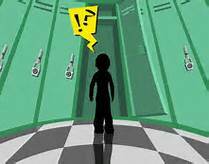 What is even funnier is that I was talking about this the other day to another woman, who had the same dreams: She couldn’t remember her locker number , she was in high school, and the bell had rung, and she was standing in front of her locker gripped with fear. What does that tell you? The kids in school are trained like Pavilion dogs to make it to their next class by the bell, or suffer something near torture. And YEARS later, the fear of ‘state” authority is still there. 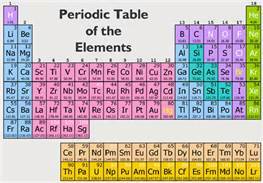 The Russian Chemist Dmitri Mendeleev was having problems trying to categorize elements, back in 1867. . And one night, he had a vivid dream in which the periodic table that we still use today was laid out in front of him in his dream. There were some missing element, which he left blank, but in later years would be filled in…like gallium, scandium, and germanium. Elias Howe, back in 1844, had spent a year trying to design a sewing machine. Then one night he dreamed of warriors with spears that had holes shaped like eyes. 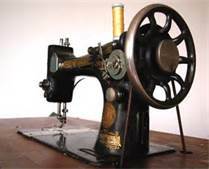 He created the curved, eyed needle that became a main part of his stitching machine from that dream. Dr. Otto Loewi a joint winner of the Nobel Prize for Physiology Medicine, dreamed that the stimulation of one neuron by another is caused by a chemical substance rather then entirely by electrical means. as previously thought. He tested his theory and it turned out to be true. 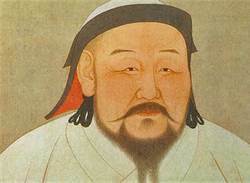 Samuel Taylor Coleridge’s famous poem “Kublai Khan” was composed as he slept. He woke up and jotted it down from memory. And Mary Shelly’s Frankenstein was based on a dream. And even I, the nobody that I am, had a dream just last week about how to fix our lawn lights. We have them throughout our front garden, and it never seem to fail that at least one will go out a night. And it’s NOT the bulb. It’s the connections. I actually dreamed a solution: bobby pins. Hair pins. Put them where the connection is flickering, and push them into the ground to hold the wire. Hey, it may not be the periodic table, but it works! Awakened at 5.15 A.M. My eyes were embarrassed by the sunbeams, turned my back to them and tried to take another dip into oblivion–succeeded. Awakened at 7 A.M. Though of Mina, Daisy, and Mamma G. Put all 3 in my mental kaleidoscope to obtain an new combination a la Galton. Took Mina as a basis, tried to improve her beauty by discarding and adding certain features borrowed from Daisy and Mamma g. A sort of Raphaelied beauty, got into it too deep, mind flew away and I went to sleep again. And that in itself, has probably helped save the human species. So, go ahead and dream! It’s fun! It’s the one thing that the NSA cannot download…yet. I’m not getting email lately. I’m not sure if it’s the NSA, or just that summer is here and everyone is outside. So, to start out this Saturday, how about a ‘pertinent” joke, that I’m sure we all can relate to?